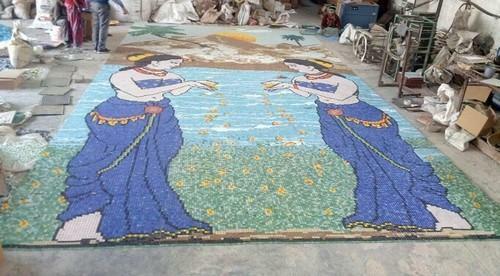 The Mural Mosaic Tiles, supplied by us, are highly durable and are resistant to abrasion and chemicals. Located in Greater Noida(India), we are a high-flying name when it comes to quality-centralized and cost effective products. With the assistance of sophisticated packaging system and adroit professionals, we are able to provide flawless lot of products as we ensure complete safety during packaging.